Inmarsat-6 is the sixth generation of satellites for the London-based global mobile satellite communications operator Inmarsat. They will have a dual mission to will augment both L-band and Ka-band Global Xpress services. 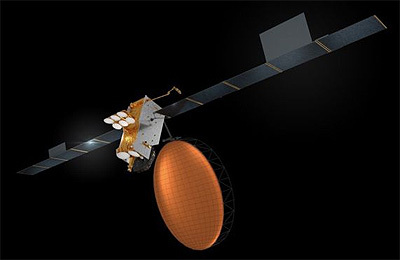 Airbus Defence and Space has been awarded a contract by Inmarsat to design and develop the first two Inmarsat-6 (I-6) mobile communications satellites, creating the most versatile mobile services satellites in its fleet. The two I-6 satellites will be based on Airbus Defence and Space's Eurostar platform in its E3000e variant, which exclusively uses electric propulsion for orbit raising. The satellites will take advantage of the reduction in mass that this electric propulsion technology enables for a dual payload mission, with an exceptionally large next generation digitally processed payload. I-6 F1 and F2 will carry a large 9 m aperture L-band antenna and nine multibeam Ka-band antennas, and feature a high level of flexibility and connectivity. A new generation modular digital processor will provide full routing flexibility over up to 8000 channels and dynamic power allocation to over 200 spot beams in L-band. Ka-band spot beams will be steerable over the full Earth disk, with flexible channel to beam allocation. The first satellite (I-6 F1) is scheduled for launch in 2020 and its electric propulsion system will enable it to reach geostationary orbit in four to six months, depending on the type of launcher used. It has been designed to remain in service in orbit for more than 15 years. Inmarsat-6 F1 (Inmarsat I-6 F1) - 2020 Ta YLP-1 H-2A-204 ?